2016 Firefest night burn. Photo credit: Arthur Dodd. 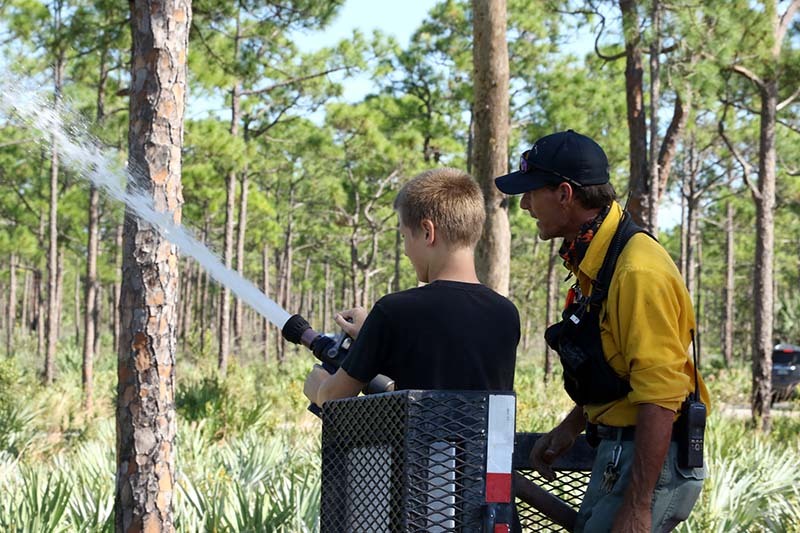 Jonathan Dickinson State Park (JDSP) will host the twelfth annual Fire Fest on Saturday, October 20, 2018, 1-9 p.m.
JDSP Fire Fest is all about prescribed fire and educating the public on how this tool benefits and protects Florida’s natural areas and wildlife habitat. While once a natural, frequent occurrence throughout much of our state, fires became infrequent and restricted in the early 20th century. As a result, wildlife and plants that needed fire suffered, and wildfires became an issue. 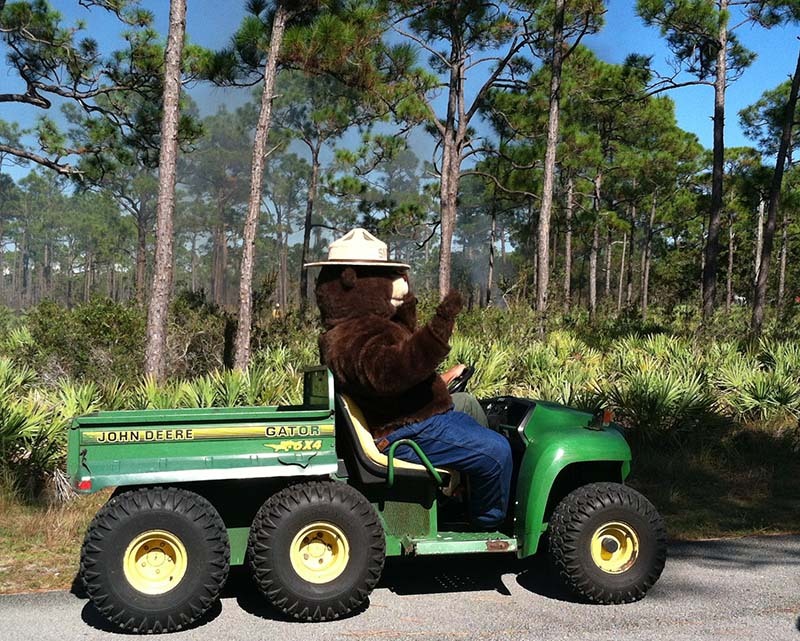 To protect the wildlife, plants, and nearby residential homes and businesses, Jonathan Dickinson State Park, the Florida Park Service, and various public and private entities developed prescribed fire programs. The results are apparent in the park and many species are thriving, some of which would not survive without a regular burn program. 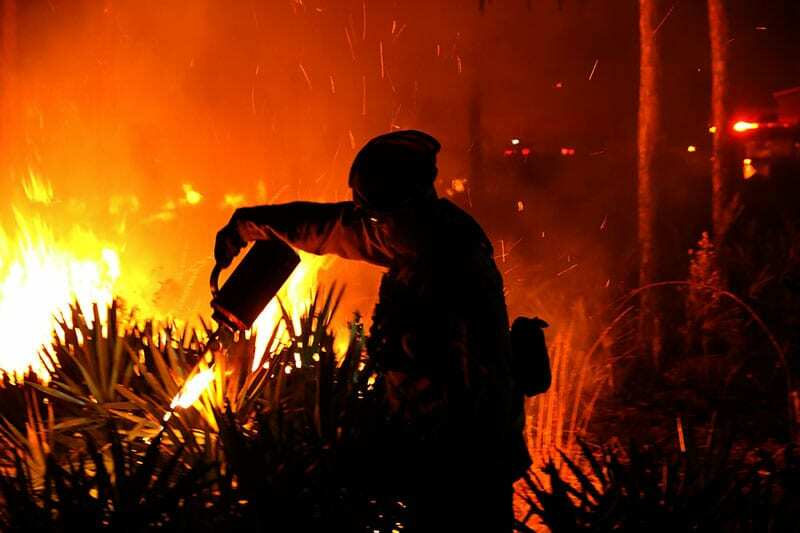 Protected species, like the four-petal pawpaw and grass pink orchids, as well as Florida scrub-jays, gopher tortoises, and indigo snakes are among those that depend on fire to survive. In areas with regular prescribed fire, these and all species in the park are also better protected if wildfires do occur because the fires are less intense and easier to manage. Fire Fest welcomes the public to watch two prescribed fire demonstrations where park staff come together with other agencies to put on a live show of this amazing process. Viewers can interact with trained fire crew and ask questions. The night burn is a spectacular sight that many would not experience outside of this event—an opportunity not to miss! Visitors can also see a variety of the park’s natural landscapes on swamp buggy rides, interactive hayrides, and self-guided hikes, as well as meet animals that call south Florida home inside the Kimbell Center and at a special show with Busch Wildlife Sanctuary. 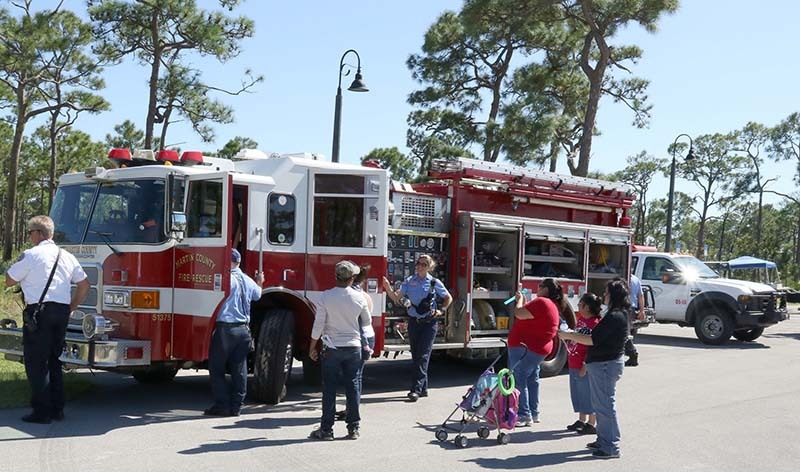 Other festival highlights include fire trucks, a spooky trail, live music, face painting, a shipwreck bounce house, a blow-up obstacle course, and free marshmallows over the campfire for the kids and kids at heart. A fun experience for people of all ages. For parents, grandparents and others looking for an educational venue to introduce children to this important process, or just looking for eight hours of inexpensive entertainment, this is an event not to miss. Fire Fest is sponsored by the Friends of JDSP, the park’s non-profit Citizen Support Organization. The Friends and park staff are proud to serve and interact with visitors every day, and this event is a fun way to do both. Park entry fees are $4-$6, depending on the number of people, and most of the attractions and events are free. Hayrides, swamp buggy tours, and the bounce house area are a modest charge and can be purchased in advance at friendsofjdsp.org. Food, refreshments, and the all-important smores kits will be available for purchase as well. Come join the fun! To keep up with the latest updates, follow us @jdspfirest. Good fires prevent bad ones! Jonathan Dickinson State Park is located at 16450 SE Federal Hwy, Hobe Sound, FL. For more information, call (561) 745-5551 or email [email protected]. Firefighter spray. Photo credit: Arthur Dodd. 2016 Firefest Martin County Fire Rescue. Photo credit: Arthur Dodd.